What can you count on us for? 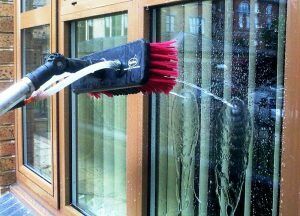 At Fast Window Cleaning London we specialise in cleaning of windows for both commercial and residential buildings. Whether you have a home with multiple windows or an office building with a glass façade, we are the company to call. Additionally, we also provide solar panel cleaning, which is a task our experts are particularly good at. As a side note, since the gear used is mostly the same, we also provide expert mobile car valeting service. Cars have windows too, after all! Call Fast Window Cleaning London on 020 3322 8261 and you can learn more details about what we do and how you can take advantage of our work. What makes our window cleaning in Battersea the best choice? We have been in the business for a lot of time and we know how to deal with any window cleaning challenge. You will find our work swift, efficient and perfectly targeted at providing the best service you deserve. We know these are just words, so we urge you to contact us on 020 3322 8261 and book our service for a time you find fit. There is no doubt that we will meet your every expectation and requirement. Surely you will then want to hire us again in the future. The district of Battersea is located in the south-west part of the capital and is part of the London Borough of Wandsworth. It occupies an area on the south bank of the Thames and is roughly 2.9 miles from Charing Cross. There is a large group of housing estates from the 20th century, located just north of the major railway lines near Fairfield and Queenstown. The most notable estate is Winstanley estate, which is currently being considered for redevelopment. Perhaps one of the most iconic buildings in the area is the Battersea Power Station, which was planned for transformation into a mass entertainment complex. There are three railway stations that serve the district: Queenstown Road, Clapham Junction and Battersea Park. Battersea was where Bob Marley, Dannii Minogue and many other musicians have lived. Call 020 3322 8261 to get more information about our window cleaning in Battersea.